Years ago when Maria first introduced me to puntarelle, I wondered quietly if it were a distant relative of a’kkoub, a foragers’ plant, that I remembered eating in early spring when I was growing up in Lebanon. As it turned out a’kkoub or Gundelia Tornefortii is actually totally different from puntarelle both in looks, taste and specie. Whereas puntarelle are a type of chicory, Gundelia or tumbleweed is a low-growing thistle-like plant, which flowers and dries out in summer, its seeds flying in the wind to propagate. Native to Lebanon and neighbouring countries it is collected for food from February till the end of March when the heads are still compact and have not developed into flowers. For centuries, foragers have been seeking the tender A’kkoub shoot for its mild artichoke taste, to cook with meat, chickpeas or yogurt. It was also used for medicinal purposes, containing antioxidants and known as anti-inflammatory. Like all wild edible plants it also provides greater amounts of minerals than cultivated greens. I remember that there was much fuss around this highly prized wild green; first because you had to find it or at least find someone to collect it from mountainsides, second you had to perform labour intensive cleaning, which involved ridding it of its thorns whilst getting your fingers pricked in the process. Then and only then, you could cook it. All this, created a kind of mystique; mention A’kkoub and people would rave and call it a delicacy. To my great surprise, I found a basketful of A’kkub at my Beit Mery greengrocer’s yesterday even though it is nearing the end of the month of May. Mohammad the tall and chatty grocer laughed at my ignorance when I timidly asked if it had been cultivated. With the confidence of people in the know, he claimed to have identified at what exact altitude it was gathered, where and who collected it . At this point I could only give in and take some home committing to the tricky task of cleaning them. This was no easy feat but rather a labour of love; I clipped the thorns off each leaf with scissors. I then carefully peeled off any yellowed or bruised parts. Finally I cut the ends leaving the heads small, green and tender. Like with artichokes, I immersed a'kkoub in water and lemon to prevent it from discolouring. 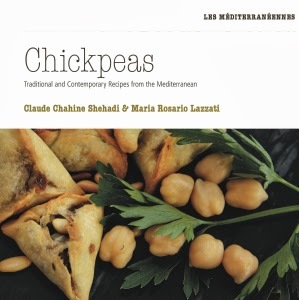 I then cooked them with chickpeas. I peeled and chopped a small onion but left the garlic cloves whole and unpeeled. I sautéed the onion in olive oil until they caramelised and added the garlic before sautéing the a’kkoub until just golden. Finally I added a handful of cooked chickpeas, covered the lot with water seasoned with white pepper and salt. When the mixture came to a boil, I reduced the heat and allowed it to simmer for about 20 minutes. Just before the end of cooking I squeezed half a lemon to add tanginess and bring out the sweet taste of a’kkoub. As I took my first bite after many years, I could finally fathom why this thorn which is linked to the Shroud of Turin- where its pollen was found in abundance - ignited people’s passion. 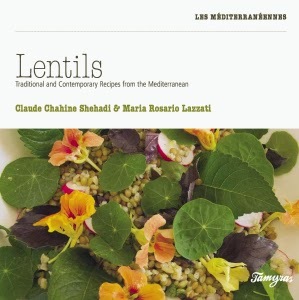 I also pondered how a modest weed with a handful of chickpeas, could become a scrumptious meal fit for a feast. 1. To clean akkoub you need a pair of scissors, a sharp pairing knife, a bowl filled with water and lemon juice and another empty bowl to place the discarded peel. 2. Start by clipping away the spiky thorns with the scissors. With the pairing knife, cut all the tough parts leaving whitish coloured stems and tender green heads. 3. Immerse the clean Gundelia in lemony water and keep until ready to cook. 4. Heat some olive oil in a deep pan. Sauté the garlic cloves until they turn a deep golden colour. Add the Gundelia and sauté for 4 to 5 minutes. 5. Season with white pepper and salt. 6. Add the chickpeas and cover with vegetable stock. As soon as the mixture comes to a boil, reduce the heat and leave to simmer for about 18 to 20 minutes. 7. Check the seasoning and serve at room temperature.